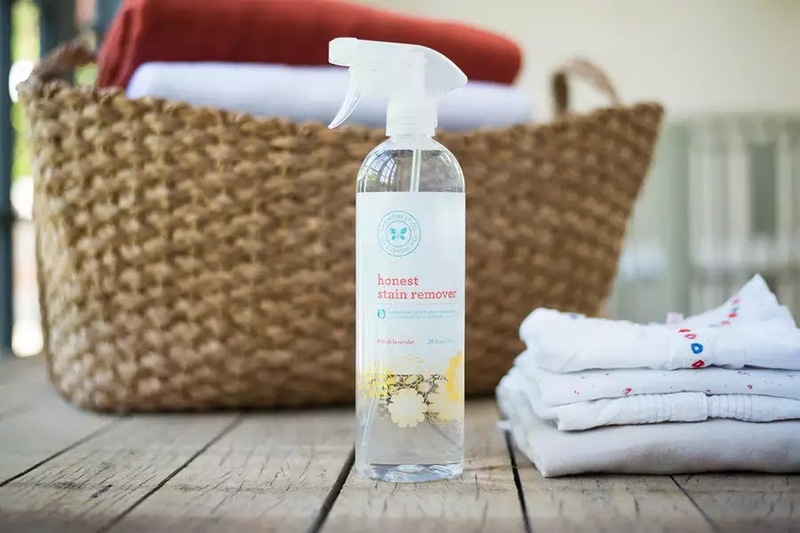 We all know I'm a huge fan of the Honest Company. I use their products daily for Milo, myself, and all around our home. All natural, organic, pure, hypoallergenic, gentle on sensitive skin, all phrases that sing sweet, sweet harmonies to my ears. Milo and I both have sensitive skin, something I'm sure I passed down through the power of stubborn genetics. However, we make due with a little help from our friends at Honest. These are my "Top 5 Honest Must Haves" and my reasons why. The soothing bottom wash is a cleansing spray that soothes sensitive bottoms with organic aloe, witch hazel and botanical extracts. Milo in all his 7 months has not once suffered from diaper rash... yet. (keeping my fingers crossed) I give some credit to this product here. It also helps ease some of the stink during those #2 changes along with greatly reducing the amount of wipes I use. Definitely, a diapering must have. This is my go too. Stove top, inside the fridge, counter tops, door handles, walls, Milo's Bumbo seat, furniture, EVERYTHING! I have to clean my counter tops like 100 times a day. Now that Milo is eating baby foods, somehow everything from my counter tops to cabinet doors, and flooring are covered in splatters of pureed apples & pumpkin. (the only veggie mix I can get him to eat this week) This cleanser tackles grease, dried / caked on messes, dirt, even hard water build up. (struggle of living in the desert...) It's my go to and with a boy it's never too far out of reach. Milo is mobile! He is in the first stage of crawling and getting stronger and faster by the day. With the hard flooring throughout my home, these have made their way onto my must have list. He sticks everything in his mouth, hands, feet, toys, whatever he can get his little paws on. He is so closely in contact with the floor, I make sure to not put him in danger by using anything that could be harmful. 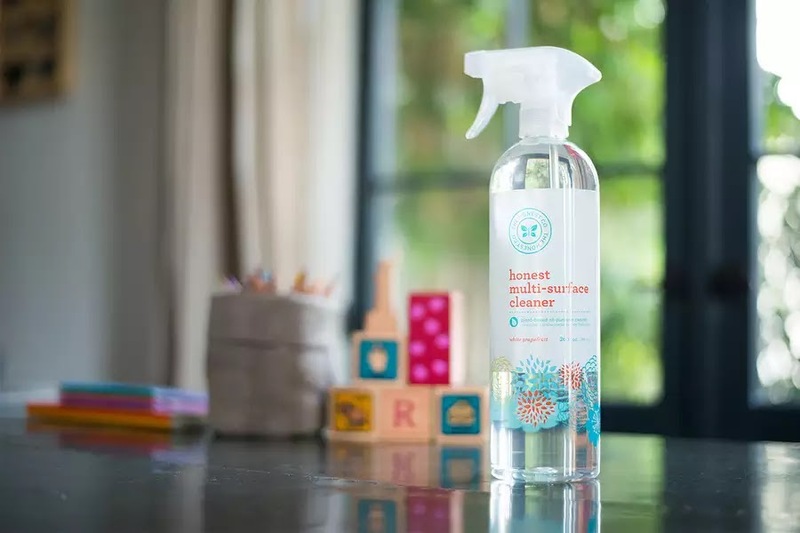 Babies and pets often times get sick from ingesting products and residues left behind from traditional chemically designed floor cleaners. 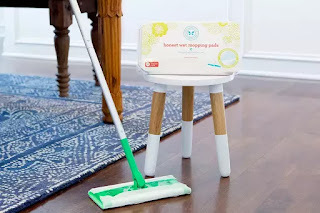 Honest Mopping Pads are residue free along with being a powerful plant based cleaner. I've woken up, bright and early, to the precious chirps of birds, chatting shamelessly away, right outside my window, for a few mornings now, and we all know what that means. Summer is right around the corner! I love to be outside, and I'm sure Milo will too. He already enjoys looking out the window and going for walks. With living in Nevada it's very sunny and typically pretty cloudless. So I started researching natural sunblocks. I picked this up during a free gift promotion through my monthly diaper bundle. 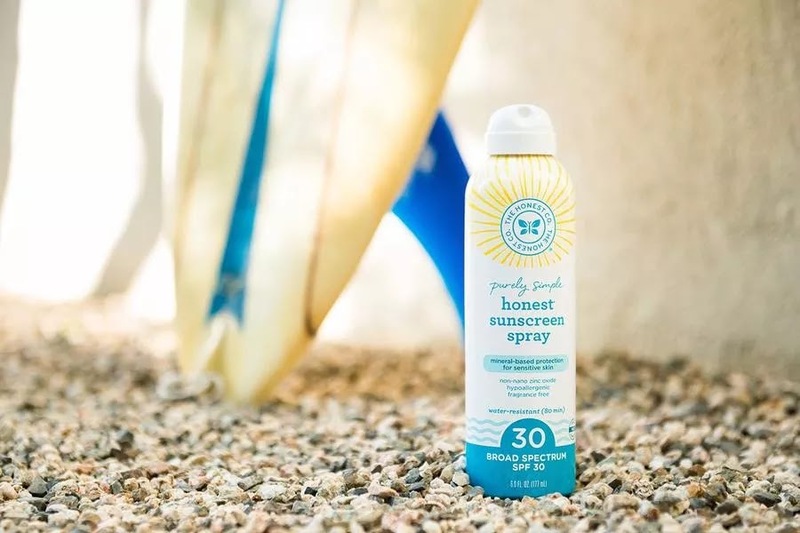 It fits perfectly into the side pocket of my diaper bag and I love that its an easy spray. If you haven't already, bundle it up! It makes mom life just that much easier. Plus Honest diapers are amazing! Just sayin'. This is a bandwagon you want to jump on. Now you may not be a overly natural lady like myself, but whats the harm in having safe and effective products around that you'll use everyday? I love hearing from you. Comment below what your must haves are! I love Honest Company products! They are amazing! Hearing about Honest Company for the first time. Gotta try their products out! I've never tried any Honest products. Do they also kill germs? 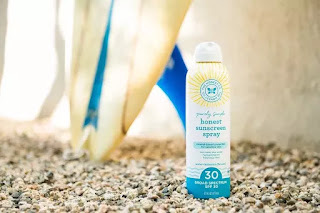 I'm looking for a sunscreen that doesn't smell like sunscreen; does the Honest sunscreen have a scent? Emma, thanks for answering my questions. They sound like products we might want to try then. I must try the honest company--especially the diapers! the diapers are great and designs are too darn cute to handle! I didn't know they had mop pads ! How cool. We love this company too. I just recently tried the cosmetics line ... I'm in love ! have never heard about it, seems they are not in India...But looks cool! don't know much about these, but thanks for sharing! I haven't tried these Honest products. I've used their diapers and wipes though and I did like the quality. And the super cute designs! no problem The bundles make everything so easy. I have some serious mom brain not having to think about home products while at the market saves me on trips. lol I've already gone three times this week to pick up items i forgot!